Travel Notes 08 – A series of daily entries on being abroad for 60 days. 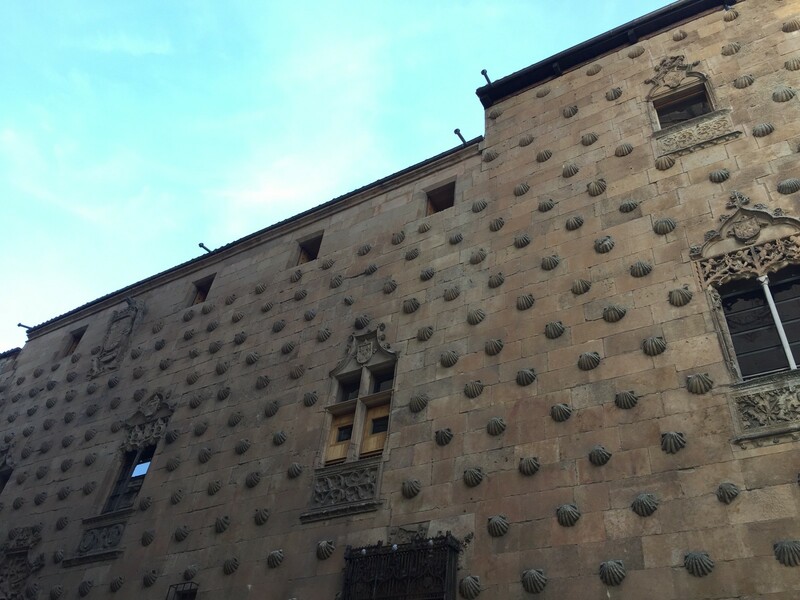 Leon’s quiet, old world, small city charm has left a mark of peacefulness with me. I am glad I am experiencing the less busy capital cities first, which in itself has resulted in lots of walks without a …destination in mind. I take one last stroll down the river, but a hat, and board a midday train to Salamanca. The ride is a smooth one although I mistakenly believe I’ve missed my stop napping and jump up in a hurry much to the confusion and bemusement of my fellow passengers. 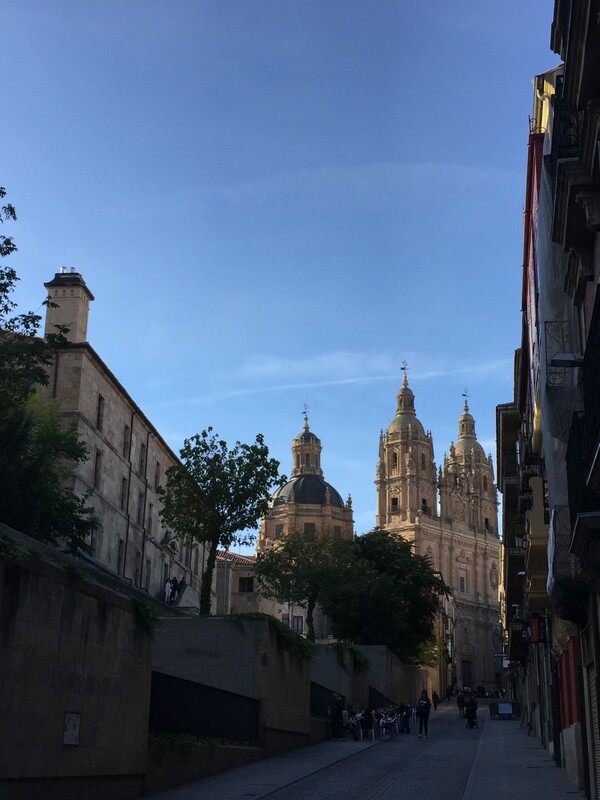 But all is well as I make it to Salamanca, one of the oldest, academic cities in this country. It is very reminiscent to a Spanish Oxford, and at 798 years old, it’s certainly got the heritage to be associated with the English city. 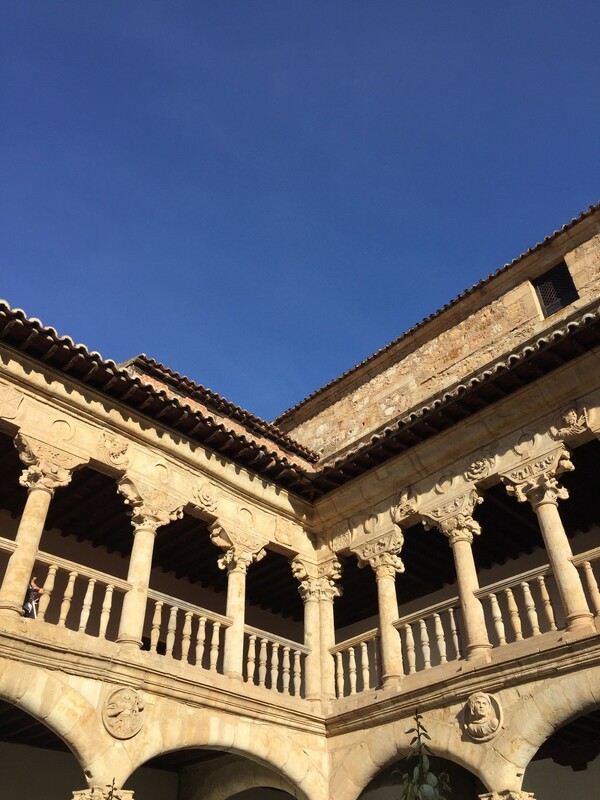 Widely considered to be the place to go in Spain to learn the Castellano language, Salamanca has a studious charm that seems very accessible and real. 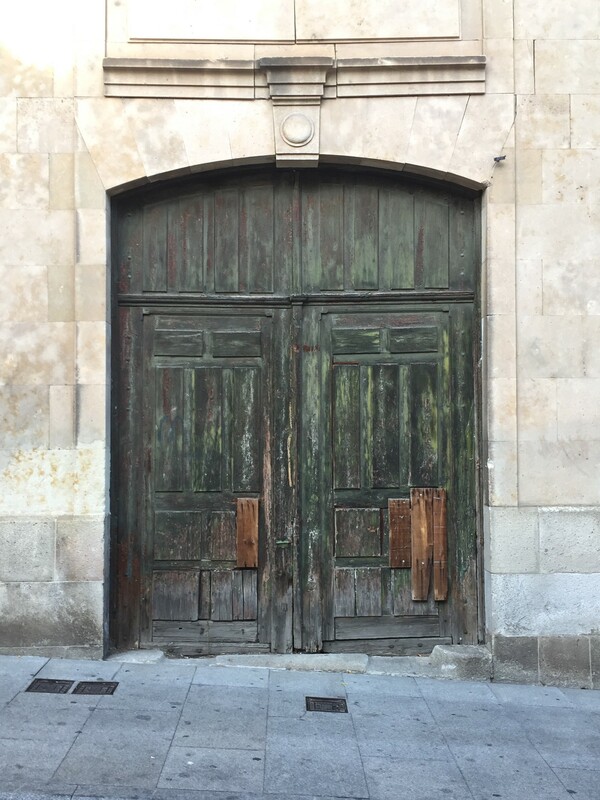 I am immediately enchanted by the labyrinthine streets, weathered doors and eldritch door handles, cobblestones and buildings of alabaster and stone which mark libraries, campus buildings, convents and churches. 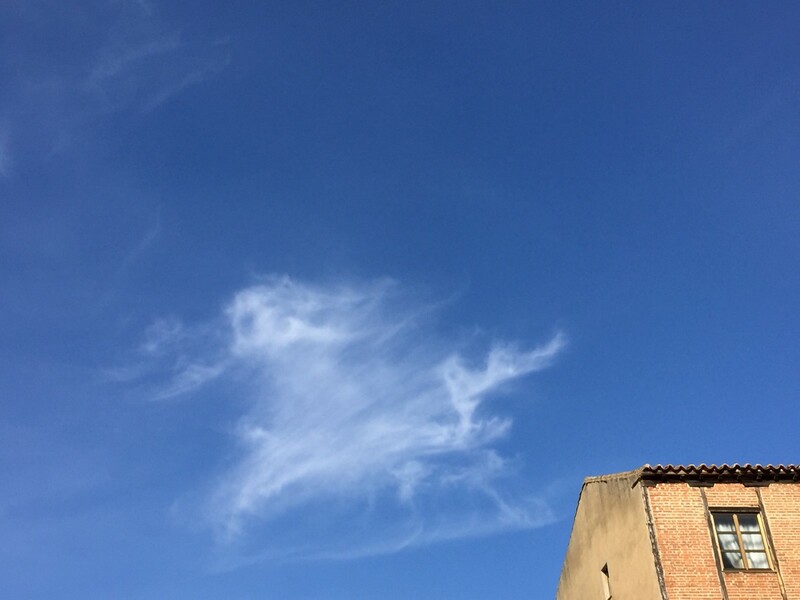 My first stop is the Convento de Las Duenas, a quaint little convent with a delightful open courtyard and the sky for a ceiling. Within this space, the walls frame the heavens; perhaps very deliberately and intentionally so. I wonder if this is what monks, nuns and students of theology did in their downtime between preparing for biblical studies; sitting in these gardens and gazing upward. 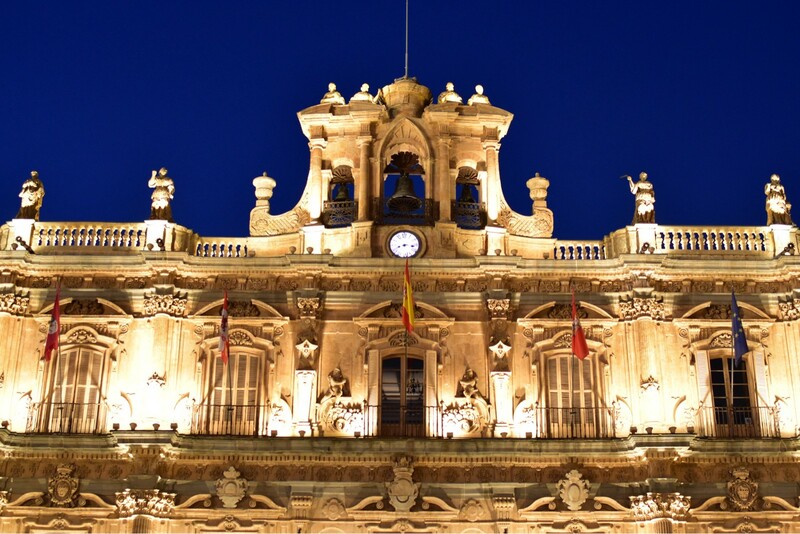 This architectural motif repeats itself in the beautifully grand Plaza Mayor, a gorgeous square that is much like Leon’s San Marco, except for the surrounding windows, arches and balconies. 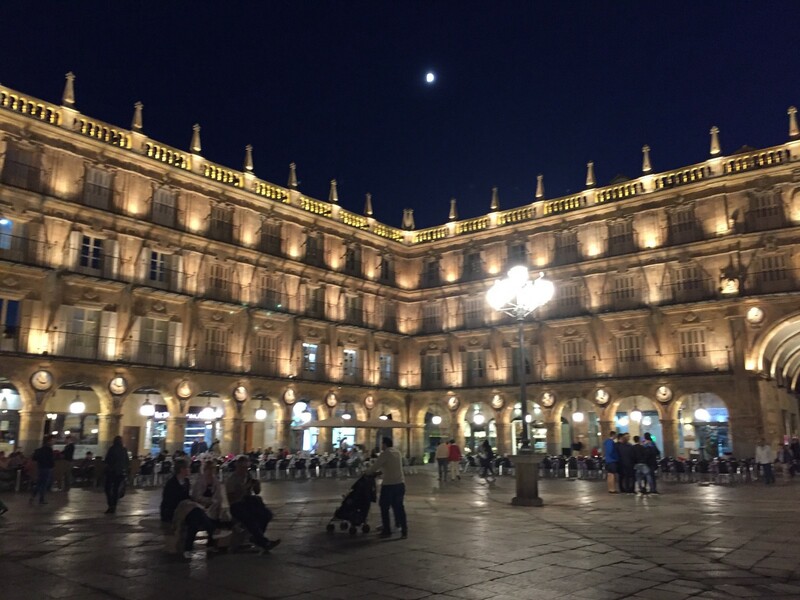 Plaza Mayor has a grandeur that makes it a pleasure to just sit and watch as lights get switched on and people mingle in this social stadium. As dusk turns into night, the air gets pleasantly fresh and cold. The colours shift from blue to cobalt to black; the infinite sky above changes ever so gradually within the picture frame of roofless buildings.